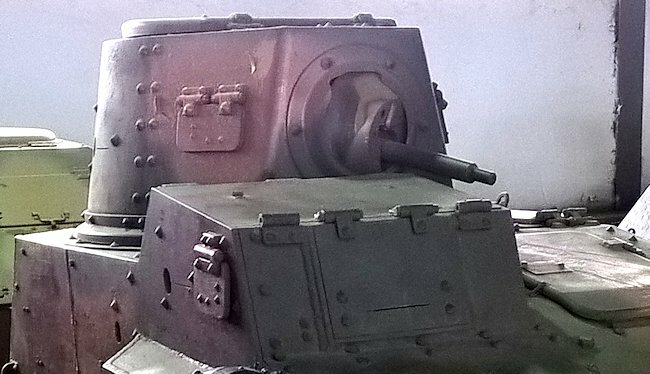 The Imperial Japanese Army called these tankettes Type 94 light armoured cars (Kyuyon-shiki keisokosha). They were also known as Tokushu Keninsha which means 'special tractor'. This was abbreviated to TK or Te-Ke. Take the train from Moscow's Belorusskaya Railway Station, in the north west of the city, to Kubinka. It is about an hours train journey. It is a direct service, no need to change, and the the tickets are cheap. Make sure you print off a list of station names so you can check off where you are and get ready to get off the train at Kubinka. The station names are not always easy to read or see. Although this military town has been active for over 80 years it has a rundown look to it. You can walk to the museum but there is the equivalent of a motorway crossing your route. There are no pedestrian crossings over it. There are a number of taxi stands near the station. They are very cheap and honest. I tried to give the driver a big tip but he refused. Ask for his card so you can ask the Museum gate staff to call his company when you are finished at the Museum to get back to the railway station. The Type 94 Te-Ke Tankette towed an armoured trailer that could carry fuel, ammunition and supplies. 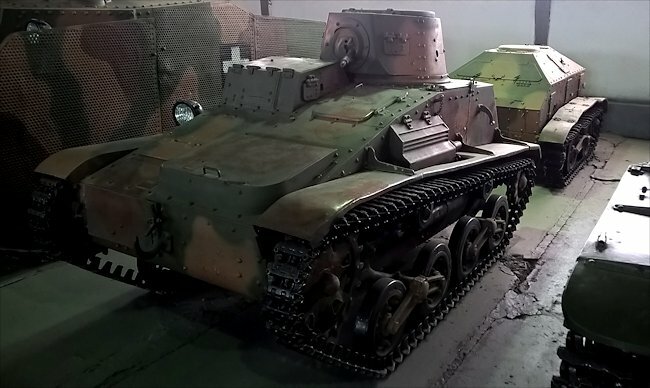 The Type 94 Te-Ke Tankette was designed in 1932. Around 832 were built. They weighed 3.4 tonnes and had a two man crew: commander/gunner and driver. Its maximum armour thickness was 12 mm. It was only armed with a 6.5 mm Type 91 machine gun. 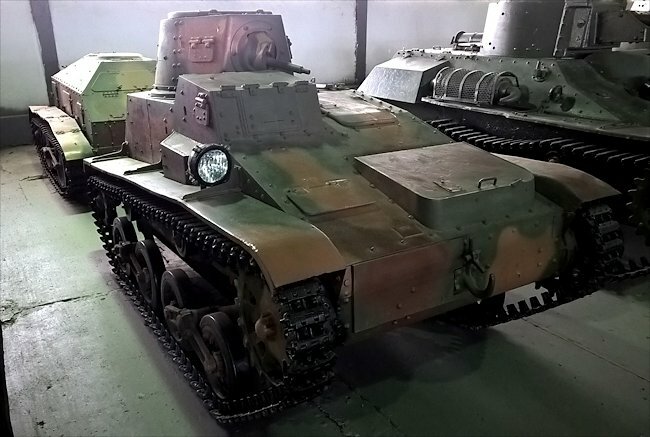 Where can I find other preserved Type 94 Te-Ke Tankettes?